I CAN’T IMMEDIATELY THINK of a better premise for a novel than the one Peter Steiner found: “I invented two young men and put them in dire circumstances.” He made them members of the French Resistance. “Dire” hardly covers it. Think about it: One of the brothers, Onesime Josquin, is a rifleman standing fruitless duty on the Maginot Line as the Germans sweep around it, destroying the French army in the process. He leaves his post and walks home to the small Loire village of Saint-Léon-sur-Dême, to his mother Anne Marie and his brother Jean. Soon Germans are building a logistics depot in the caves where wine has been stored for generations. The village is occupied. Onesime and Jean start as small-time résistants. As they go about their daily routine — Onesime as farmhand for the local noble, Jean in a bicycle shop — they develop layer upon layer of useful information about their new occupiers. Onesime begins by drawing detailed maps. Jean collects order-of-battle information, although he goes on to other, darker pursuits. Neither has much of an idea what he will do with it until the mysterious Simon comes into their life. Their mother, unknown to them, is doing the same. And so, as we learn only at the end, are others. Their initial floundering and confusion resolves itself into clear, hard action, but not before there is much loss of life and a great deal of doubt about the morality of what they and their fellow townspeople are doing. But one of the best features of The Resistance is that there is not a lot of agonizing over the morality of resisting openly, resisting surreptitiously, collaborating, or — the point of the book — some mix of all. For example: The local beauty lost her husband to the Germans in World War I but falls in love with the first commander at Saint-Léon — who meets a bad end at the hands of his own side. She’s clearly a collaborator, isn’t she? The next German officer thinks so, up until the last instant of his life, when she turns into the paramour from hell. 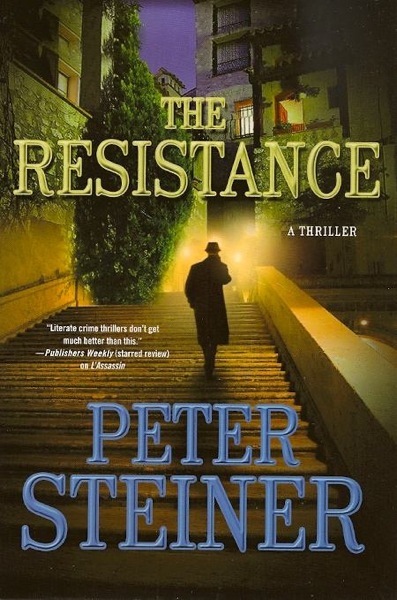 The Resistance is the most recent in Steiner’s delightful Louis Morgon series, stories about an American intelligence operative who, after disgrace and divorce, finds his own redemption through a long walk from Paris more or less along the pilgrim trail to Santiago de Compostela. There he reaches the final decision that his future lies in Saint-Léon, a place he’s spent only one night. The old house he buys hasn’t been lived in since before the war, and under its crumbling floor he finds the package that provides the key to this story. Two keys, actually. The Resistance is billed as a thriller, and it has many of the thriller’s traits. Read it for the exciting tale of resistance, bravery, love and death — that’s why I started it. Steiner presented it at the American Library in Paris two years ago and I first read it after I heard and met him. I went back to it recently, and it was on second reading that I fully understood it was more than just a thriller. It’s a philosophical treatise, and it will make you think. How would any of us react under the circumstances Onesime and Jean (and their mother, and the local gendarme, and the mayor, plus many others) found themselves facing? Peter Steiner lives part of the year in rural France, and his knowledge of the countryside is evident. His next Louis Morgon thriller is scheduled for publication in Spring 2015. He took to novels later in life, as you’ll see from the interview, after a long career as a cartoonist at The New Yorker and other places. 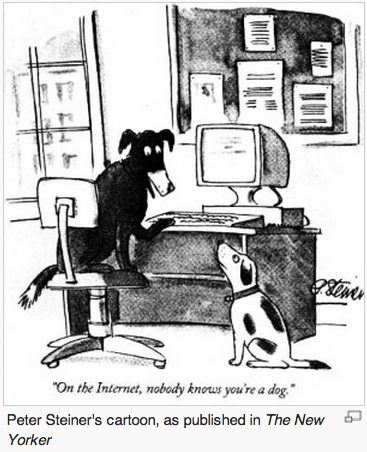 His New Yorker cartoon captioned, “On the Internet, nobody knows you’re a dog” is the magazine’s most-reproduced cartoon. He holds a Ph.D. in German literature. His Amazon page, bio, and all his books are here. His personal web site, a very pretty one, is PLSteiner.com. He was the subject of the most recent Part-Time Parisian author interview. The Resistance: A Thriller (A Louis Morgon Thriller) [Kindle Edition] 319 pp. Minotaur Books (August 21, 2012) $7.59. Also available in hardcover. It can be purchased on Amazon and Barnes & Noble, and this review has been posted on both sites. I’m the author of Treasure of Saint-Lazare, a novel of Paris, which reached #25 on the Kindle historical mystery best-seller list. A sequel, whose working title is Last Stop: Paris, will be published late this year.